Founded in 1975, University of Port Harcourt (UNIPORT) is a second-generation Federal University located in the Niger-Delta region of Nigeria with over 50,000 students and a strong focus in Petroleum Engineering. 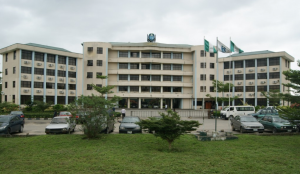 Formerly known as University College, Port Harcourt, UNIPORT has been ranked amongst the top ten universities in Africa and as the first in Nigeria by Times Higher Education (THE); a UK-based source for higher education information. Under the administration of the curr ent Vice Chancellor, Professor Nimi Briggs, UNIPORT recently reached a milestone by being the first university to train the first set of Nuclear Engineers in Nigeria. The University also won a grant from the World Bank to build up a center of excellence in oilfield chemicals. The University has been noted as one of the best institutions in Nigeria involved in the study of business ethics and indigenous entrepreneurship development.